SUPPLYING RHD AMERICAN CARS, TRUCKS & SUV’S TO THE AUSTRALIAN MARKET. 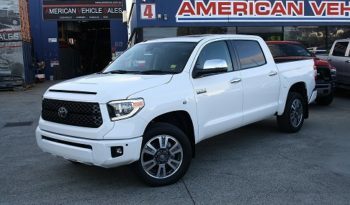 American Vehicle Sales have been a specialist Right Hand Drive Conversion company since 1994, who have provided over two decades of conversion experience. We are a family owned and operated business that handle Steering Conversions for many countries worldwide. We have offices in Australia (American Vehicle Sales) and Asia (Autogroup International) enabling us to handle large volume orders with fast turn around times. Our dedicated team combine workmanship, business integrity, over 25 years of operation and an independently certified ISO Quality Assurance system to produce the finest Right Hand Drive American vehicles available worldwide. With the torque I get from my GMC Sierra HD I’ve had now worries towing my horses wherever. Great Truck and a special thanks to AVS! We run a fleet of Chevy Avalanches for our business and they’re tough and versatile and the conversion is second to none. Power and Torque are what im after, I use my truck for work and take it off-road on the weekend. I couldn’t ask for more.